It's finally Friday, folks. Halle effin lujah. I'm ready to get my relax on this weekend. Care to join? But first, let talk about clothes. 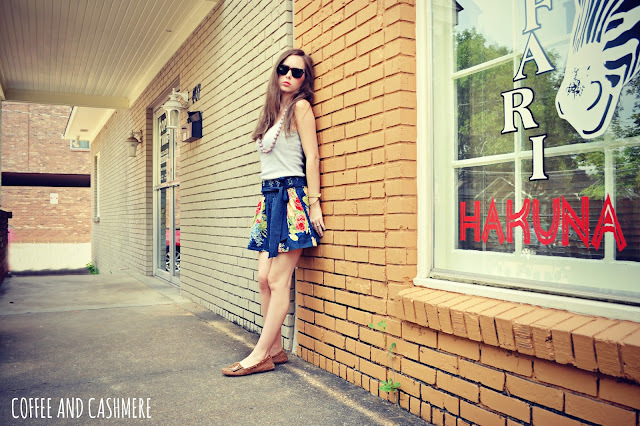 ThredUP sent me an adorable Abercrombie & Fitch skirt to use for my ThredUP Challenge. Now, I haven't worn that brand since I was in middle school (hello awkward years), but I couldn't pass up the coral and periwinkle colored flowers on this skirt. Plus, ThredUP was selling it for only $10.49. Super dealio. I also paired this skirt with stuff I already owned: an American Apparel grey tank top, Tory Burch Alexandra moccasins, and a chunky beaded necklace. Ba da ba ba ba, I'm lovin' it. 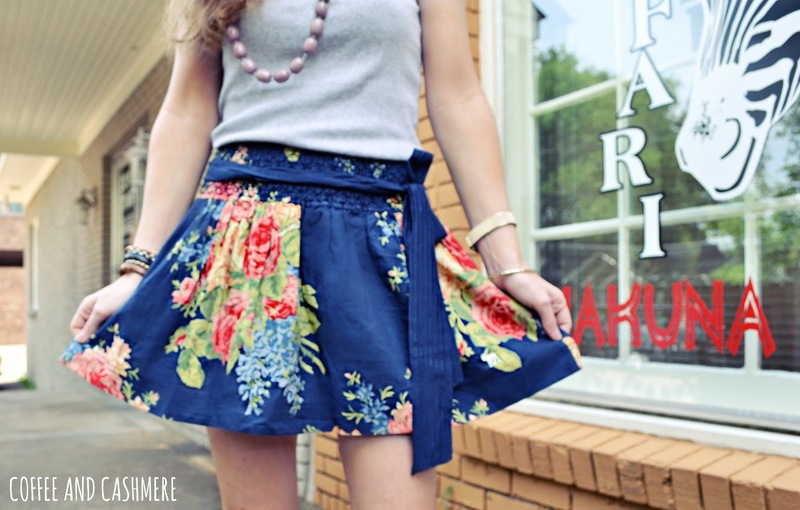 Abercrombie & Fitch floral skirt c/o ThredUP. There are so many great deals on gently used clothes over at ThredUP. Many items are even still new with tags! So, go get your shop on now! Read about ThredUP and see my first look HERE, second look HERE, and third look HERE. Holy cuteness...love that skirt. Also love those sunnies! Yum. My favorite!! So, so cute!!! This one is my favorite, too. It's just fun and young. Which I obviously am.